Wolverine and our member distribution cooperatives are Touchstone Energy cooperatives, a nationwide alliance of local, consumer-owned electric cooperatives providing high standards of service to members, large and small. Championing the cause for lowest-cost, democratically-governed energy, Touchstone Energy provides a unified face for the small businesses that own and service rural America’s 2.5 million miles of power line. By working jointly, the network of small cooperatives that make up Touchstone Energy generate services that would normally require the resources of a national corporation. Wolverine and our member distribution cooperatives were among the initial group of electric cooperatives involved in the launch of the Touchstone Energy brand in 1998. Today, 749 electric cooperatives in 46 states are Touchstone Energy cooperatives. 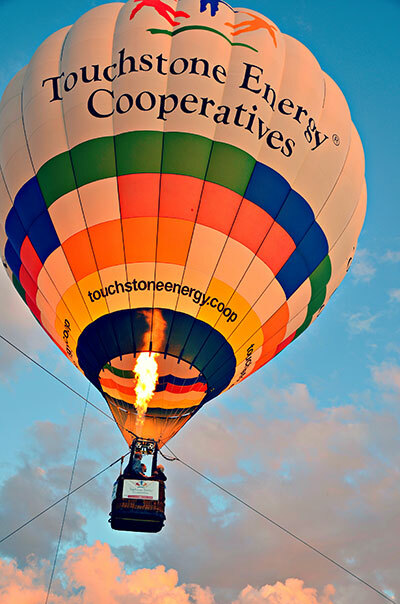 What Makes Touchstone Energy Cooperatives Different? Touchstone Energy cooperatives are owned by their members and are committed to providing reliable electricity at an affordable price. Touchstone Energy cooperatives operate based on their four core values: integrity, accountability, innovation, and commitment to community. Touchstone Energy cooperatives are the highest rated electric utility group, scoring an 81 out of 100. That compares to a 75 for investor-owned utilities.